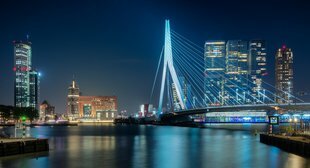 Rotterdam’s impressive skyline. A. J. V..
ANNA JOFRE VILANOVA A. J. V..
Rotterdam’s impressive skyline. A. J. V.
I went to live in Holland for love. At the same time, I felt I needed to get out of Girona and get to know other cultures. Rotterdam is my husband’s home city, but apart from that it’s also an interesting city. It’s not too much of a stretch to compare it with New York. It’s an open city that is welcoming, very modern and hard-working. 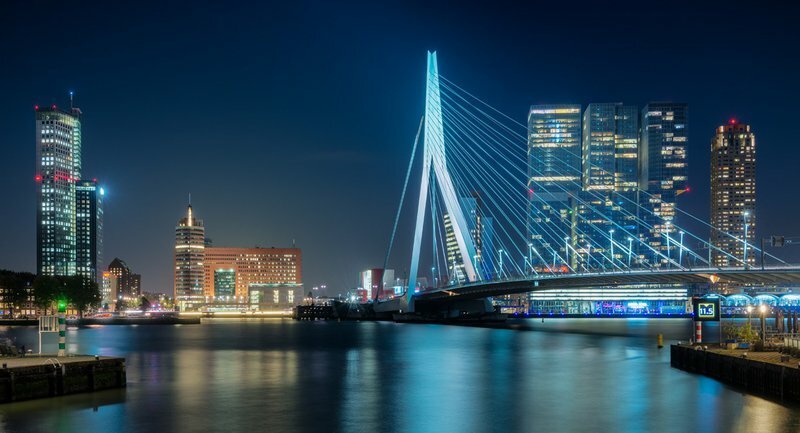 Rotterdam is not only Europe’s largest and most important port, but architecturally-speaking it’s also a very interesting city: there’s a spectacular contrast between its modern and older buildings. As far as I see it, Rotterdam has managed to balance its architecture perfectly. Yes. I’m very happy with the opportunities I’ve found in Holland, both musically and in other areas. The Dutch are lovers of Flamenco and, curiously, they seem to understand it better than many Spaniards or Catalans. As far as translating from Catalan to Dutch, obviously I have come across some very good opportunities in this country. I saw from the beginning that learning the language of the country you live in is fundamental for you to integrate both your professional and your personal life. The standard of living in the country. In particular, the calmness of young people when it comes to them finding work and choosing their future path. I also like the Dutch character, which is very similar to the Catalan one. They are hard-working people, easy-going and very open-minded. I particularly like the calm and good sense they have. As for the national road infrastructure, I would highlight the free motorways and the famous network of cycle lanes that reaches everywhere and lets you cycle all over the country. I must also mention the respect and care they have for animals. Swans and ducks calmly walk around among people. Grey herons live perfectly integrated near the canals without feeling threatened at all. What would you most like to change about it? The Dutch health system, which is in private hands. Unfortunately, the Dutch government gave the medical insurance sector the power to demand that every adult pay the first €385 of hospital expenses. The weakest in society, old people and the poorest, often decide not to see a specialist to avoid paying €200 or €300 for a scan. It’s very sad for something like this to happen in a country like Holland. In this sense, I think Holland is going down the same path as the US, where only people with higher spending power can afford the best medical treatment. The most disadvantaged in society are at risk because they can’t afford medical insurance. It is something to rectify. I miss the everyday contact with my friends and family, obviously. It hurts not to see my nephews growing up on a daily basis. I also miss the Mediterranean a lot and the privileged natural environment of Girona, which is unique in Europe. Inner wealth and the open-mindedness that allows you to compare two cultures, in my case the Dutch and the Catalan. This makes you a more open and neutral person in all aspects of life, something I consider fundamental for human development. It depends on how much you have to spend. There are apartment-hotels for young people, while for those visitors who can afford it, I’d recommend the hotels in the centre of Rotterdam. From the city centre I’d take a watertaxi or waterbus, which is a lot of fun, and go for a bite to eat at the Hotel New York. It’s a very important historical building, dating back to 1901, when it was where cruise ships stopped. The Holland America line was the only one that directly linked Holland and America. I’d go for a good walk, or take a tram, through the centre of the city. I’d go to the covered market, which was inspired by Barcelona’s Boqueria. And I wouldn’t miss the new Central station, an example of one of the city’s architectural beauty spots. As with all big cities, some of the neighbourhoods on the outskirts where there is more crime. 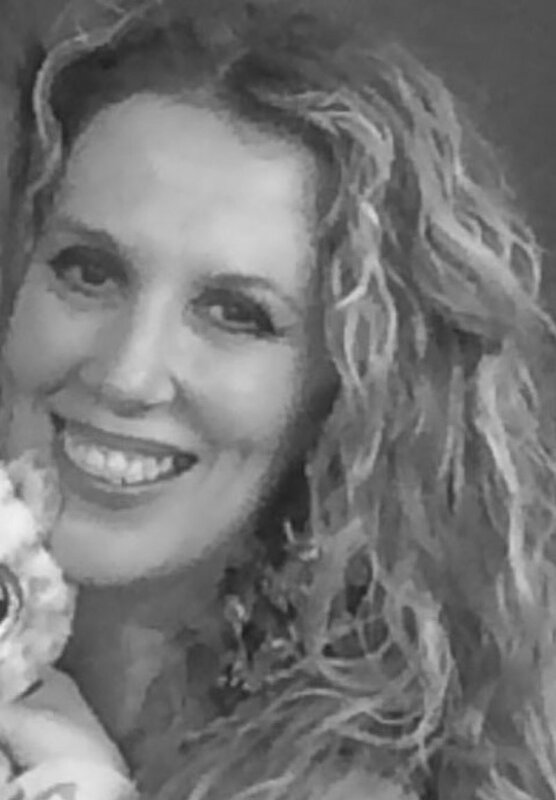 I’d say evolving as a singer as well as meeting artists and some wonderful people of all different nationalities. Also the chance to learn Dutch and do translations from Dutch into Catalan. The most unforgettable opportunity I have had was when an agency asked me to do live translation and the news reports for Dutch national television during October 27, when the Catalan Republic was proclaimed and then direct rule was imposed. It was a unique and unforgettable experience. Not for the moment, but if it did happen I’d certainly come back to Rotterdam a lot because I’d miss it. 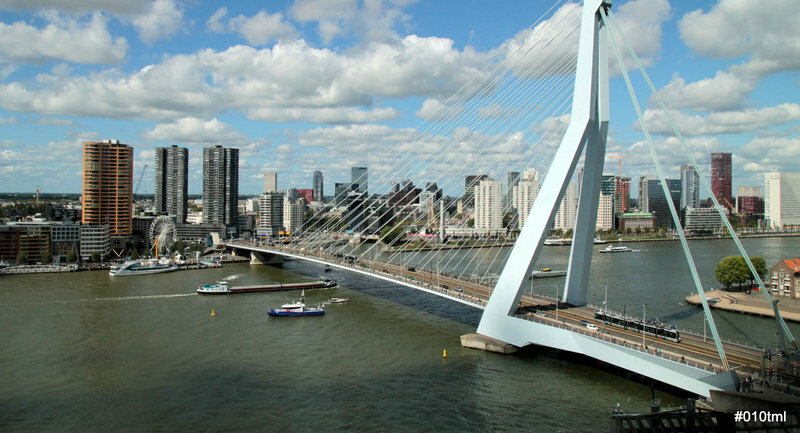 Is Rotterdam the place in Holland you would recommend most to potential visitors? If you visit Holland don’t just get stuck on Amsterdam. Rotterdam is very different but it has a lot of potential. According to the Lonely Planet guide and other specialised tourist publications, Rotterdam is among the top 10 cities in the world to visit. There are some interesting places near the water, or the restaurant on top of the Euromast tower, with its panoramic views. When is the best time of year to plan a visit? In the spring, although winters are increasingly mild in Holland. What is the best kept secret about the area?